In this most unusual memoir, Auster takes you by the hand and leads you on a nonlinear tour of some of the highest and lowest points in his life. Each piece of the puzzle – from a near-fatal car crash to the 21 places he’s called home to his mother’s life and death – has such intensity and immediacy that it feels like your own experience. 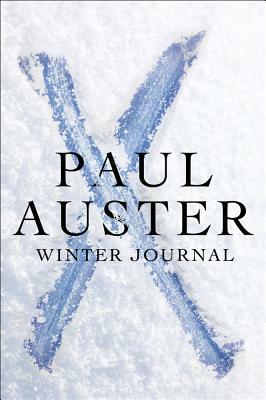 Now in his mid-sixties, Auster sees himself in the winter of his life. Readers can only hope it will be a long, long winter. ""That is where the story begins, in your body, and everything will end in the body as well." Facing his sixty-third winter, internationally acclaimed novelist Paul Auster sits down to write a history of his body and its sensations both pleasurable and painful. Thirty years after the publication of "The Invention of Solitude," in which he wrote so movingly about fatherhood, Auster gives us a second unconventional memoir in which he writes about his mother's life and death. "Winter Journal" is a highly personal meditation on the body, time, and memory, by one of our most intellectually elegant writers. Paul Auster is the bestselling author of "Sunset Park," "Invisible," "Man in the Dark," "The Book of Illusions," and "The New York Trilogy," among many other works. His books have been translated into forty-three languages. He lives in Brooklyn, New York.